In 1961, a theme park opened in Japan as an answer to the popular Disneyland. 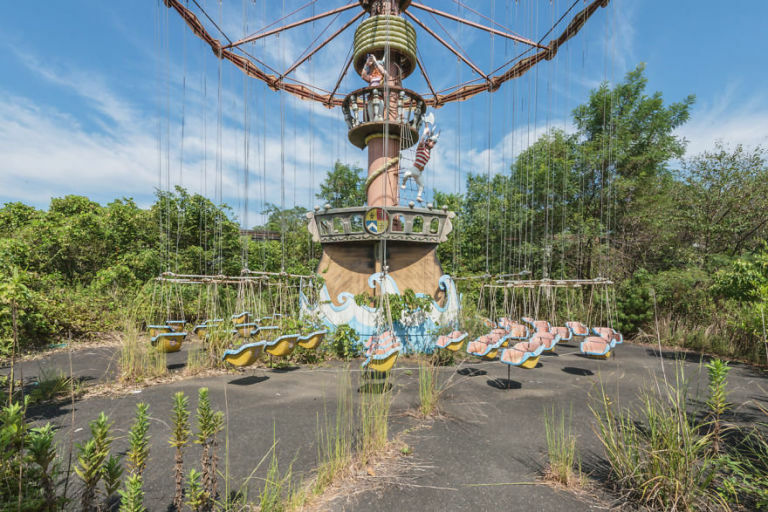 After forty-five years, however, interest in the park sharply declined, and Nara Dreamland was forced to close. But like, here’s the thing: it’s not like closing a restaurant where a new restaurant or store will buy the space and rebuild within it shortly thereafter. It’s not even like closing a store in an economically depressed area where there’s just an empty building wasting away. 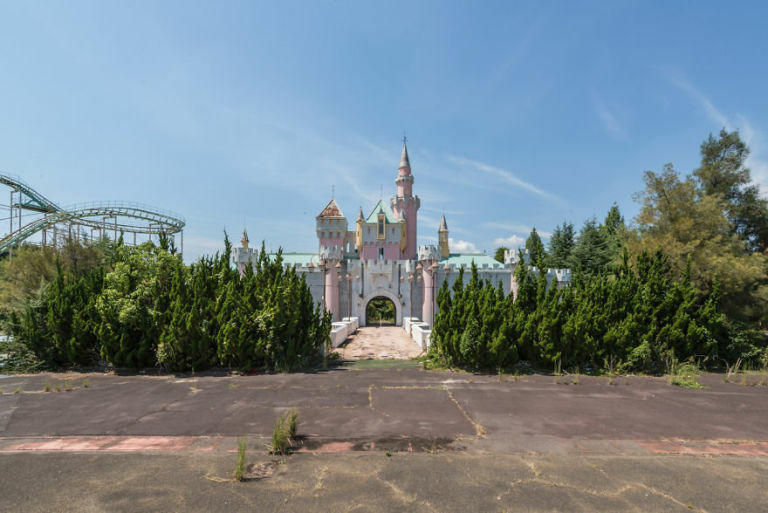 It’s a THEME park, complete with a kitschy castle and roller coasters that obviously didn’t cease to exist after it closed. 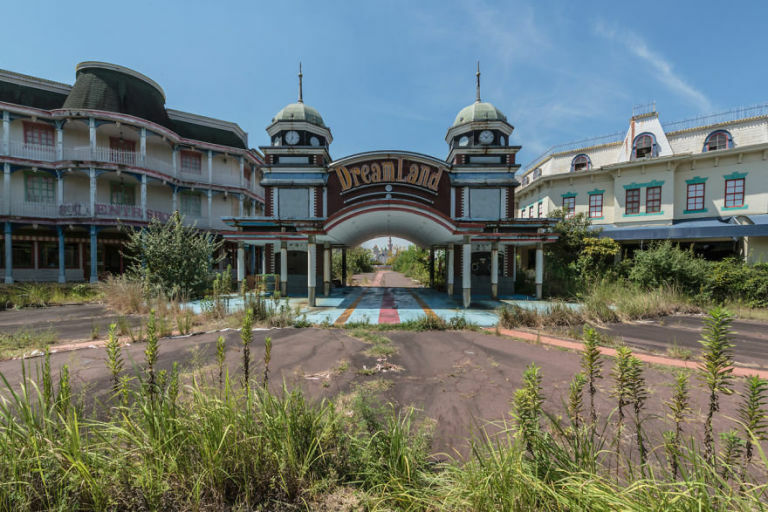 Now, Nara Dreamland looks like some kind of ethereal scene you’d see after falling down the rabbit hole. Seriously, these pictures are BONKERS. They were taken by photographer Romain Veillon, who entered the park illegally, and we’re pretty grateful that he did because his work is STUNNING. Can you imagine how terrifying this castle surrounded by the overgrown foliage would look at night? We feel like we should start scouring these pictures for a creepy clown or other bogeyman hiding in the bushes. 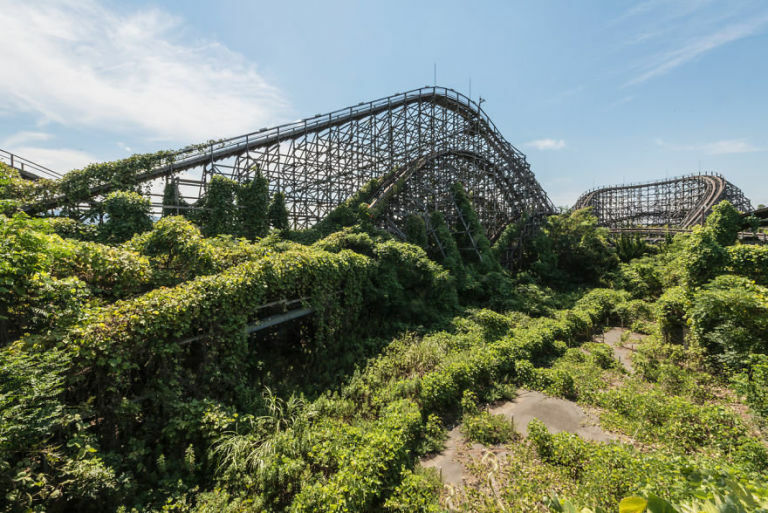 The way the ivy climbs up the roller coaster is SERIOUSLY cool and also WAY weird to see. This one might be our favorite. 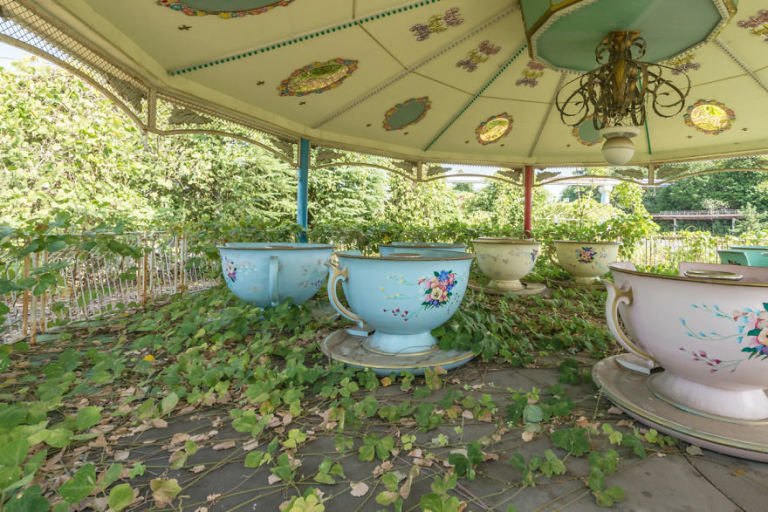 The giant tea cups surrounded by ivy really look otherworldly. More like TOTAL WAKING NIGHTMARE LAND. Seriously, somebody needs to call Tim Burton or M. Night Shyamalan and let them know that we found the absolute perfect setting for their next films. Photographer Romain Veillon also has a website where you can see his other works, and recently published a book called Ask the Dust, which you can purchase on Amazon!